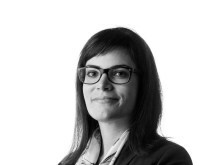 "These projects further illustrate the growing acceptance of MoorMaster™ and its adaptability to a variety of locations and applications," says Ottonel Popesco, Cavotec CEO. The orders incorporate three distinct types of application — lock, Ro/Ro ferry and bulk handling — and include servicing, installation and commissioning elements: areas where the Group sees substantial growth potential. "The project with the St. Lawrence Seaway represents a major milestone for the Group and for MoorMaster™. 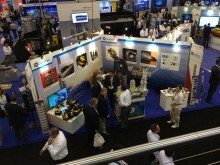 It is also the latest stage in our long-running cooperation with the Seaway," Popesco adds. 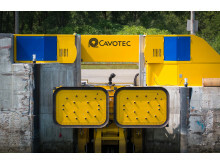 Under the terms of the agreement with the St. Lawrence Seaway, Cavotec will manufacture and deliver 39 MoorMaster™ MM400L (Lock) units for 13 locks, and related rail structures on which the units will be mounted. 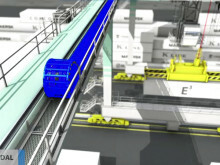 Cavotec engineers will also oversee delivery, installation and commissioning of the units. Deliveries are scheduled to run until the end of 2016. 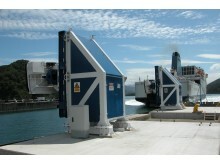 Several MoorMaster™ units have been in operation at the Seaway for a number of years. 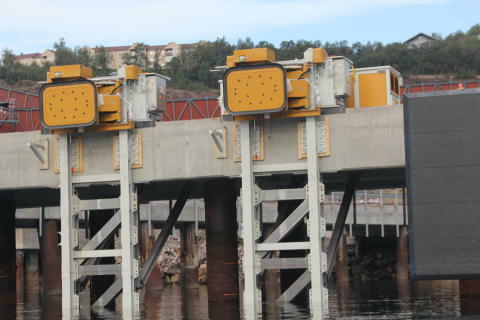 These specially adapted units hold vessels securely through variations in water level of up to 14m. 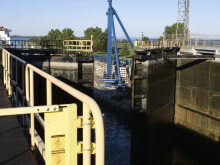 The St. Lawrence is the world's first inland waterway to introduce automated mooring. 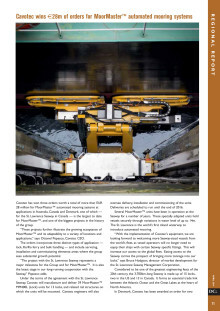 "With the implementation of Cavotec's equipment, we are looking forward to welcoming more Seaway sized vessels from the world's fleet, as vessel operators will no longer need to equip their ships with certain Seaway specific fittings. This will increase our access to the global fleet. Easing access to the Seaway carries the prospect of bringing more tonnage into our locks," says Bruce Hodgson, Director, Market Development for the St. Lawrence Seaway Management Corporation. Considered to be one of the greatest engineering feats of the 20th century, the 600km-long Seaway is made up of 15 locks, two in the US and 13 in Canada. It forms an essential trade link between the Atlantic Ocean and the Great Lakes at the heart of North America. In Denmark, Cavotec has been awarded an order for two MoorMaster™ MM400 units that will be used in conjunction with a new-build LNG passenger (and vehicle) ferry on a frequent service between Hov, in Jutland, and Saelvig, located on the west coast of the island of Samsoe. 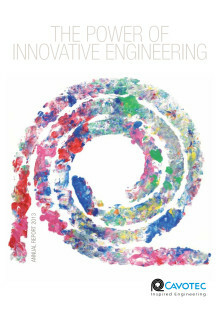 The order includes installation and commissioning. The units will securely hold the vessel in place during mooring operations in wind speeds of more than 20m/s, and automatically adjust the position of the vessel according to tidal variations. The units will also enable more streamlined, efficient operations, and improve safety for those on board the vessel and those onshore. Cavotec won this order despite competition from rival systems, none of which deliver the operational and safety benefits made possible by MoorMaster™. 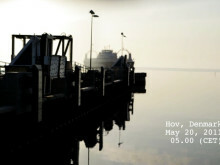 Similar MoorMaster™ units have been in operation at Hov and Saelvig for the past five years. 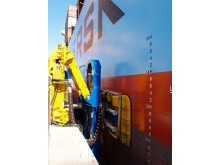 In another example of how operators value the safety and operational gains made possible by MoorMaster™, these units are due to be relocated to two other ports, (Ballen and Kalundborg), a process on which Cavotec will also work with the customer. In the third project, Cavotec has been contracted to support the installation and commissioning of eight MoorMaster™ MM200B (Bulk) units by dredging company Jan de Nul at a bulk handling application in Australia. MoorMaster™ is currently in operation at bulk and container handling, Ro/Ro, ferry and lock applications in North America, Europe and Australasia. In November last year, we also announced our first MoorMaster™ order in Africa. The world’s first battery-powered ferry was delivered recently, heralding a new era in environmentally responsible shipping. The vessel, which will serve a high-frequency route in Norway, will use our very first combined automated mooring and shore power system.